Cypress, CA – October 10, 2018 – Unique and iconic in design, the 2019 Yamaha Sport Heritage motorcycle lineup received introduction today from Yamaha Motor Corporation, U.S.A. 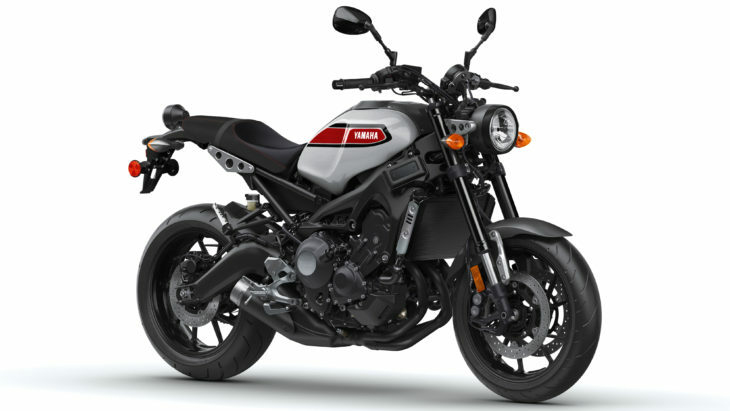 Featuring a new race-inspired Aluminum/Red color scheme for the XSR700 and XSR900, the 2019 model lineup also includes the mighty VMAX, Bolt and Bolt R-Spec urban performance bobbers, and the entry-level V Star 250. Yamaha’s Sport Heritage motorcycle models bore creation from the company’s in-depth experience gained from the design and manufacture of the world’s most famous and iconic motorcycles spanning seven decades. During this time, the world of motorcycling has evolved continually, yet the unique emotions and intense excitement experienced when riding on two wheels have always stayed the same. The Faster Sons design philosophy fuses fashionable vintage style with advanced engine and chassis technology to create some of the most beautiful, enjoyable, and exciting motorcycle models available today. To find out more about the 2019 Sport Heritage motorcycle line, visit https://www.yamahamotorsports.com/sport-heritage. Find a full range of Genuine Yamaha Accessories for Sport Heritage motorcycles at https://www.shopyamaha.com.